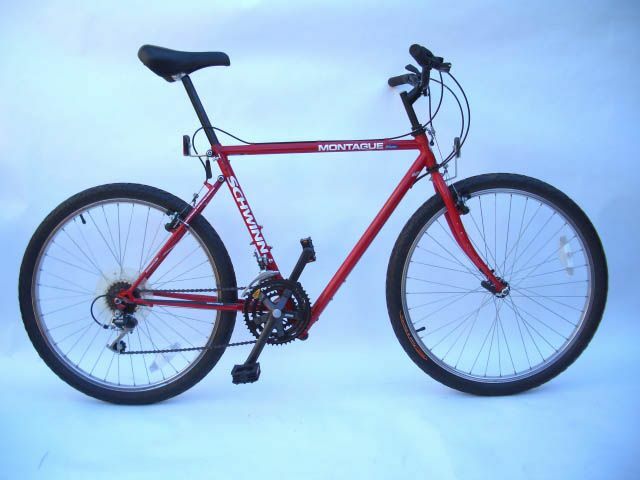 Here are some pictures of 2 BMW(Montague) mountain bikes that I acquired in the mid 90's. I am trying to clear up storage space so these and others will be going on to Craigslist. I would like to know what they might reasonably bring in the Austin,Texas market. They are in good condition with a few nicks and scratches. You'd be lucky to get more than $100 a piece. 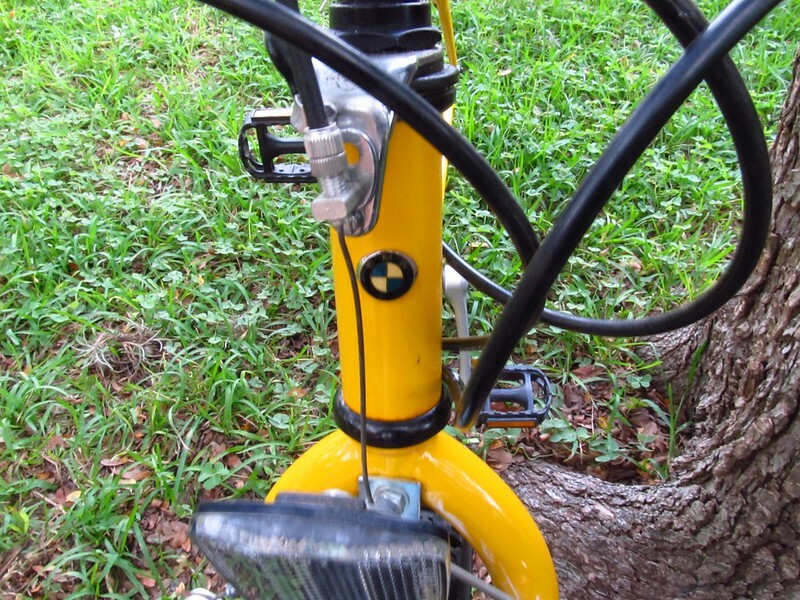 These are virtually the same bike as the nineties Schwinn-Montague BiFrame, except your second BMW version has a suspension fork (don't know if it's original). This Schwinn is on ebay with a BIN of $215 or offers. You can watch it to see if it sells. I didn't see any in the completed listings. The newer one came with the front suspension. I got them both new as prizes when I was selling BMW automobiles. I'd say IthaDan is a wee bit low on this one. After all simple logic says because of those 3 letters BMW, they're better than a Fuji Marlboro and that other car named bike, GMC Denali! The bidding on the one below started at $225 and ended at $345. 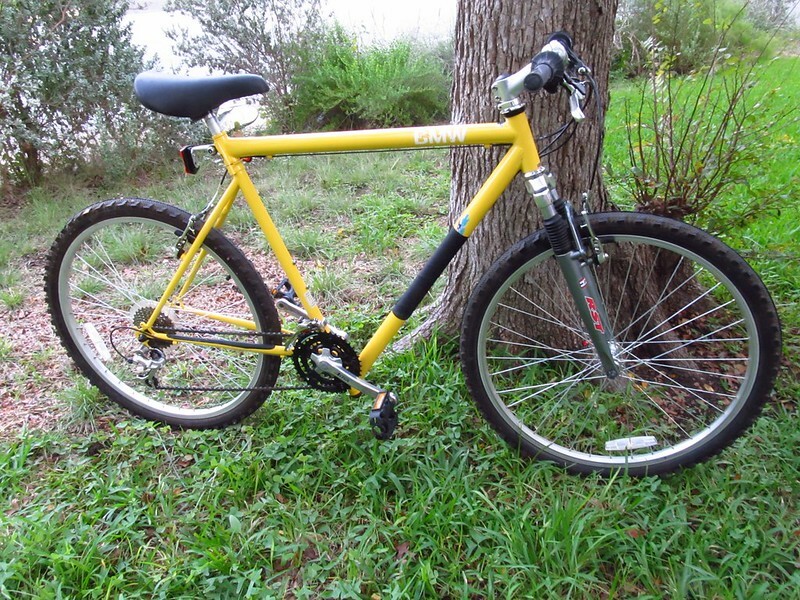 Of course there is a ratty one that sold near me for under $20, but your bikes look brand spanking new. There's enough BMW owners/lessees in West Lake Hills, just put them up locally for sale @ $250-$275, to avoid the shipping hassles. I'd also advertise them in Dallas & Houston. Last edited by oddjob2; 11-08-13 at 01:09 PM. I was looking at the parts and comparing the frame to a fuji Marlboro frame. I know there's the BMW logo on the front, but a noodle of a frame with a crank sporting riveted cranks doesn't seem like it should be worth much more than $100 to me. Never seen one, but I bet it was nice and pricey BITD. If it were a Mercedes branded AMP, you'd probably recover most of the badge markup. I picked up a '91 Schwinn Montague earlier this year and turned it into what you see above. I learned a few things along the way. #1 : Frame is innovative but not particularly light, with the concentric seat tubes. #2 : Components are decidedly low-rent. The steel wheels were particularly anchor-worthy. I replaced with a much lighter set of wheels, and upgraded the RD to XT since this pic was taken. Original bike had to be approaching 40 lb., so no lightweight here. #3 : Not so much a folder because the front wheel is kinda left hanging in the proposition - almost as if it were not counted in the whole folding equation. 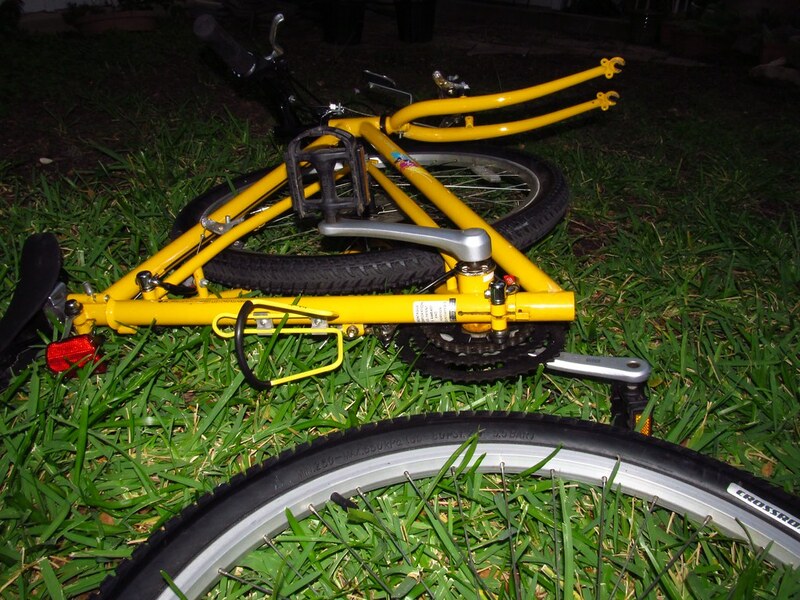 Most people just remove the front wheel and carry it separately, bungee it to the frame or whatever. Nice job. I've got a '91 I purchased new, although I don't ride it very much. 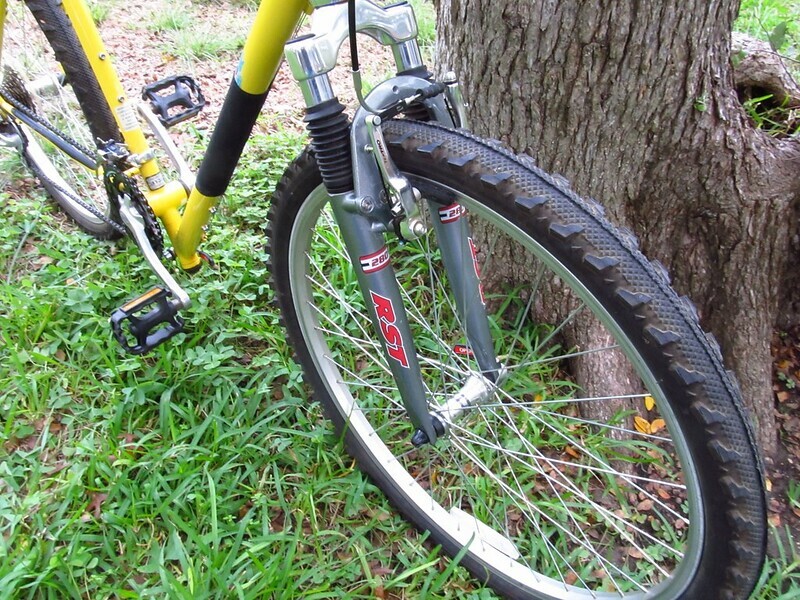 Mine has Weinmann alloy 26" x 1.5" (660mm x 38mm) rims which is the rim spec'd in the '91 catalog. I wonder if a PO swapped them out on your bike. I like what you've done with the bars. The catalog weight is 32.5 pounds (mid-size 18.5" frame), and I've found the Schwinn catalog weights are usually pretty accurate. That's another reason to think maybe a previous owner had put steel rims on yours. Here is a picture of the non suspension one folded. 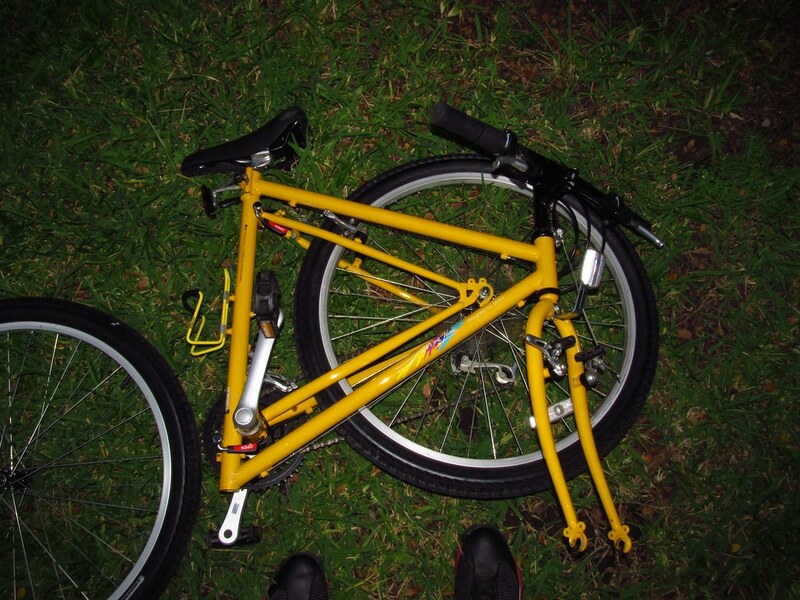 The question of course is not how great a bicycle it is, but what it will bring on Austin's Craigslist. I've thought about listing my Schwinn-Montague on CL for $250 just to see if I can get that price. I haven't ridden it in years so it's just taking up space. I was kind of thinking about $250 or $400 if someone bought the pair. I sold the pair yesterday for $400 off of a Craigslist ad. 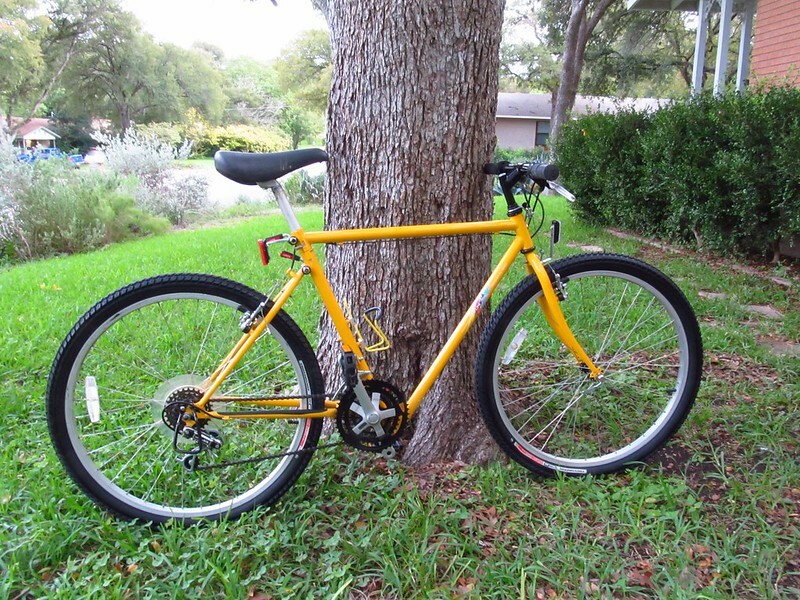 I'm retiring in a couple years so I bought a 1991 Schwinn Montague Bi-frame bike to convert to a travel MTB. I'm traveling throughout SE Asia. 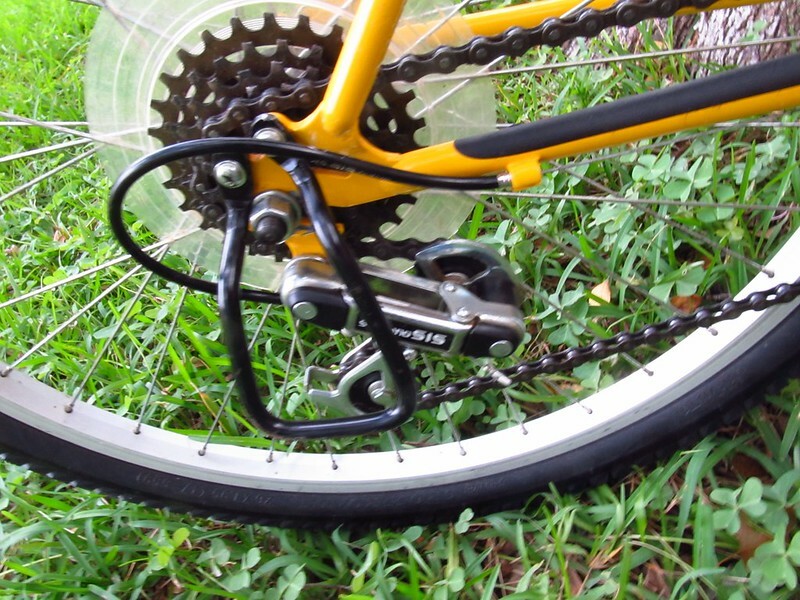 I stripped it down to the bare frame and regeared it with a Shimano Nexus 7 sp. 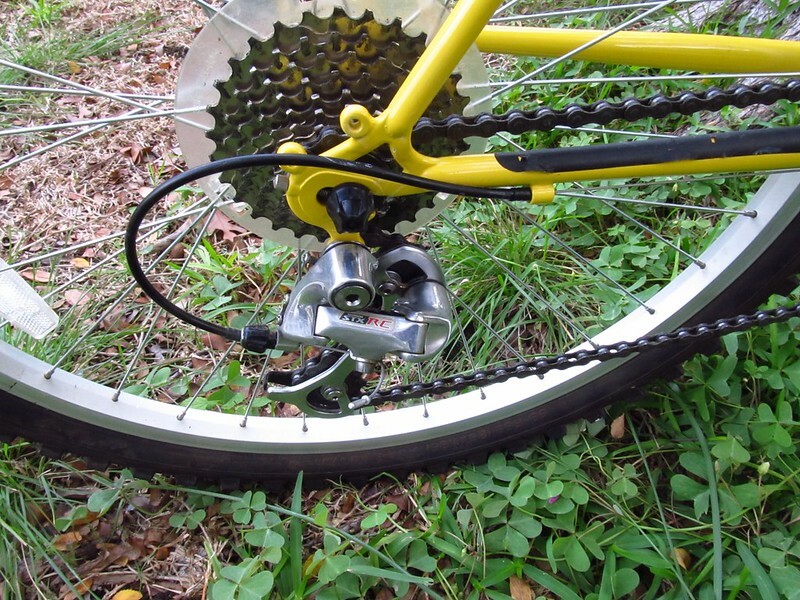 internal geared hub laced to 26" rims with 26"x 1.95" knobby tires (mostly crappy potholed dirt roads over there). 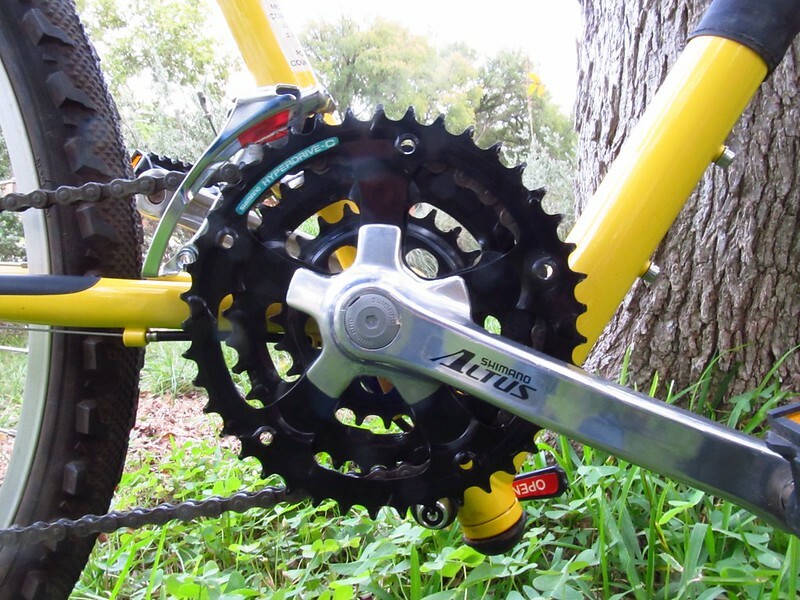 It has a 34t chainring, 18t rear cog. 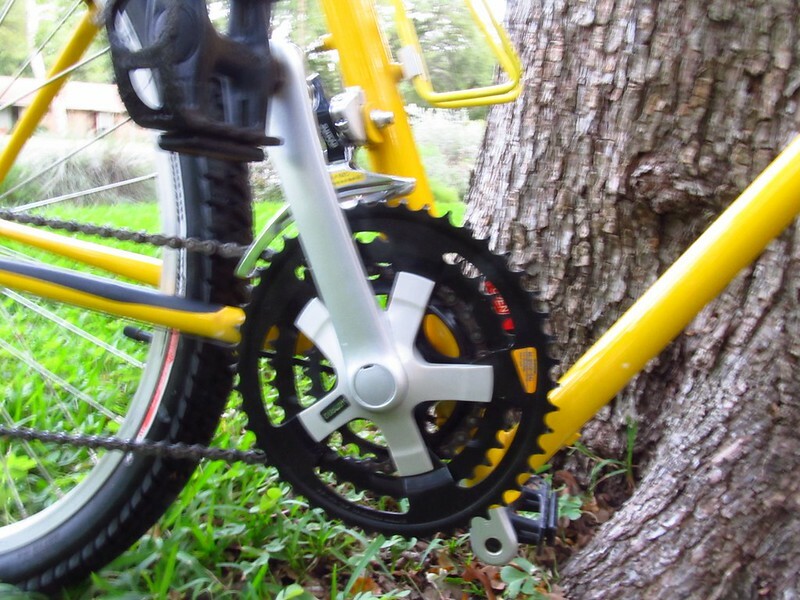 1st gear-30.3", 7th-74.7", 6th-64.5" (Cruising Gear). Lost alot on low and high end gearing but those countries are so poor if I park and lock the bike the local boys will strip the derailleurs off. I special ordered a bunch of "security bolts" to replace the allen bolts so the parts can't be easily removed by theives. Got a high end U lock too. 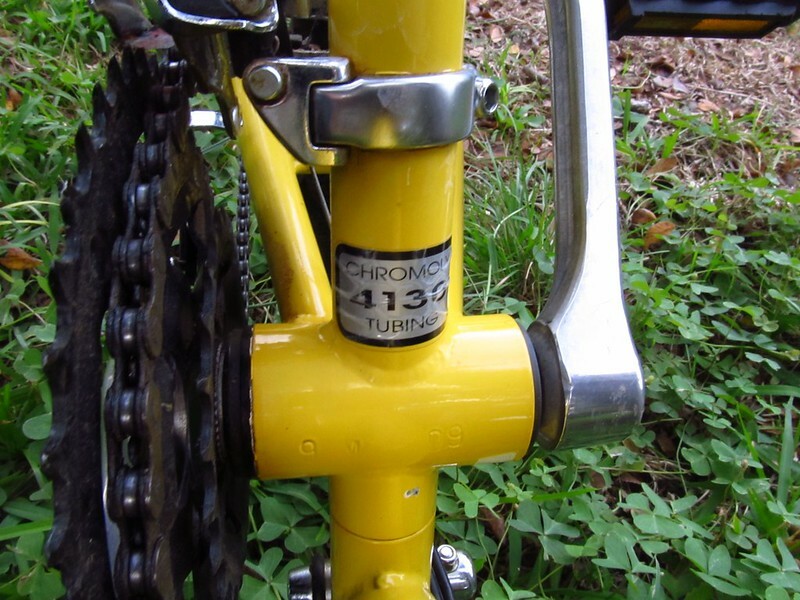 No front shocks, rigid steel fork. The bike breaks down to check in bag dimensions (62" L+W+D) so bike fees aren't charged on plane flights. A ZOMBIE thread!! What happened to the date started on the thread? Zombie thread, but I still have that Montague! Old thread or not, I am looking for Montague information and I liked barginguy’s mods on his. I would say $300 for the pair nice mid level hard frame MTBs from the late 80's with a little with something interesting seem to go for $150-200 in good working order. I don't see much other than the BMW label to raise the price on these and most buyers of vintage MTBs likely won't pay a premium for this label. 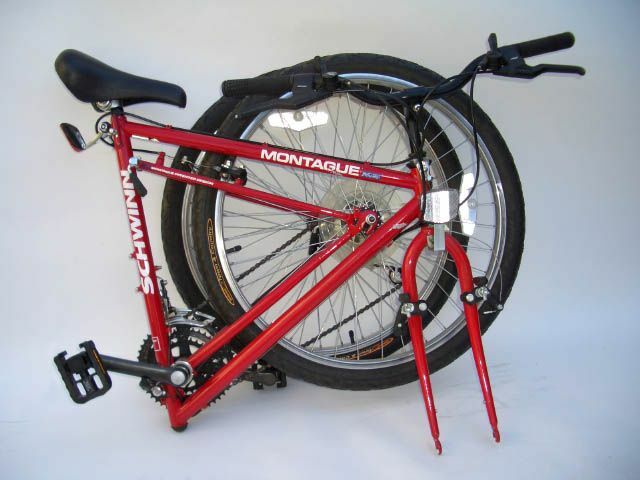 bargainguy, what brand of seat is that on your Montague. Sharp bike you have there, like that green color and brown seat and tape. I have a red early model (89 maybe), that only came with a plastic film Victornox label on the top tube. I am the 2nd owner, the first was a non rider who won it as a door prize and it sat in his basement for years till I bought it. I’m thinking I need to redo with some new vinyl stickers and a head badge. Saddle is a Performance Forte. Performance is kaput, but it wouldn't surprise me if a different company is making the same saddle under a different brand. Thanks. The color combo is a nice break from black saddles.